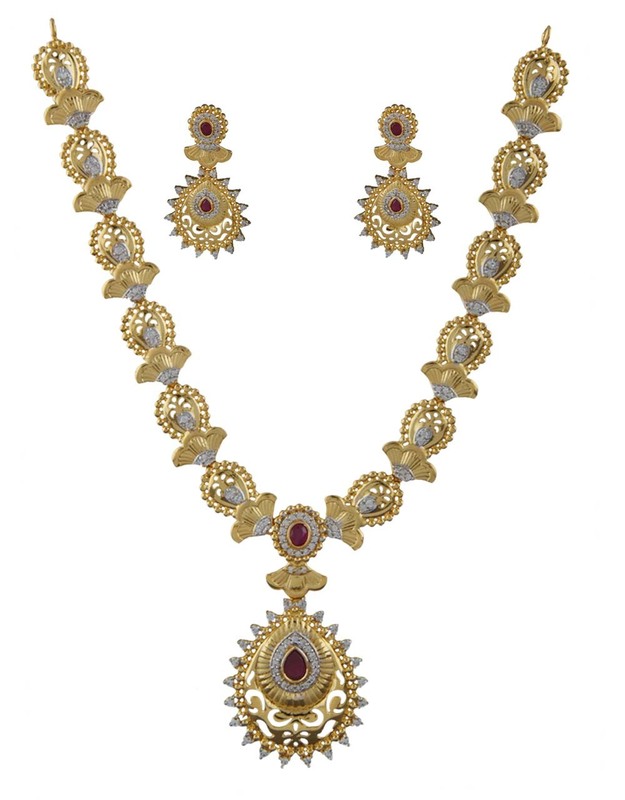 Beautiful and visually appealing, this golden colored necklace set from the house of Anuradha Art Jewellery will lend you a sophisticated look. 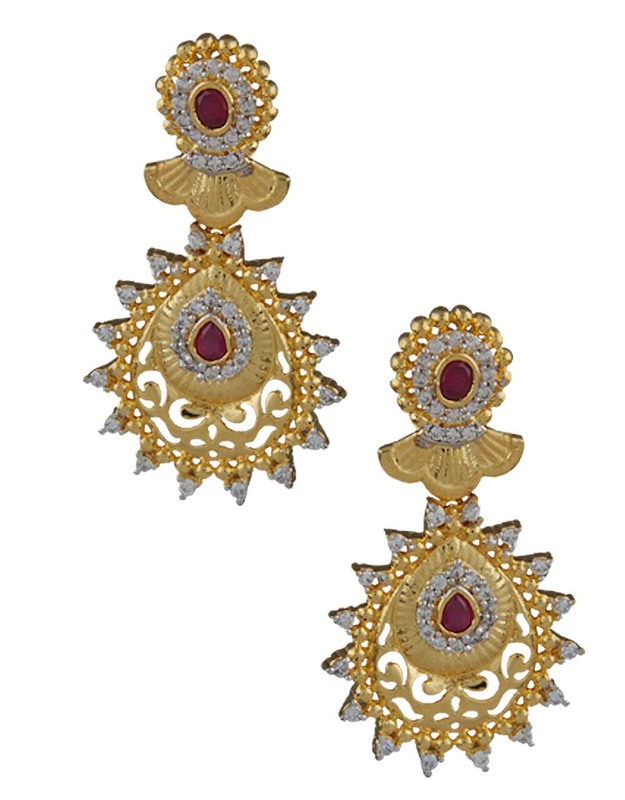 Crafted from 40% silver & golden polished copper, it is embellished with sparkling American diamonds & ruby for added attraction & features unblemished gold finish. 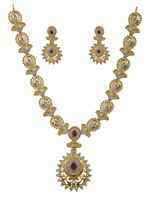 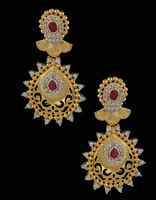 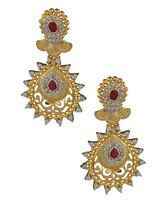 This set comprises a neckpiece and a pair of matching earrings.